Captain Morgan Apple Smash Cocktail Recipes - Who Said Nothing in Life is Free? 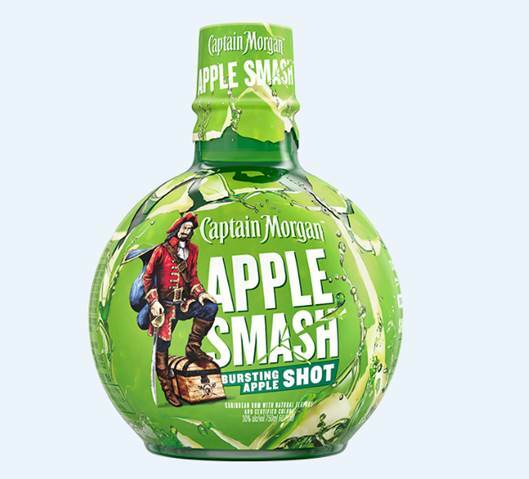 Captain Morgan Apple Smash is a new party-starting shot that blends Caribbean rum with a burst of green-apple flavor. Apple Smash is delicious, ready-to-serve and the perfect standout to help you and your crew party #LikeACaptain! Though best enjoyed as a chilled shot, Captain Morgan Apple Smash can also be served as a cocktail. Here are a couple Captain Morgan Apple Smash recipes to try…. Check out my other posts featuring Captain Morgan Jack-O’Blast recipes and Captain Morgan LocoNut recipes.